And on to Big Sky country- Montana. We drove out of Yellowstone straight into this new state. 1 million people, and a space 4 times the size of Ireland…no overcrowding issues. 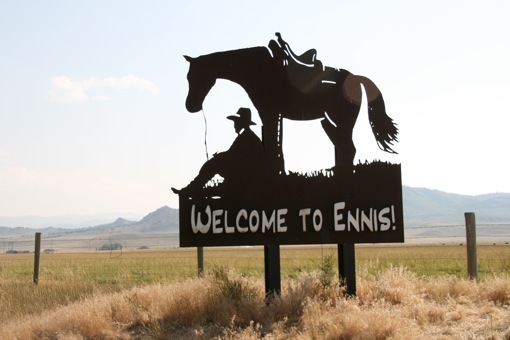 We stopped at the charming town of Ennis, Montana, where Cathal whiled away hours in antique stores hunting out coca cola collectibles and I bought some cowboy boots. Incidentally, petrol was cheaper here than anywhere – $4 a gallon (about 70 cent a litre) and the locals were still complaining! 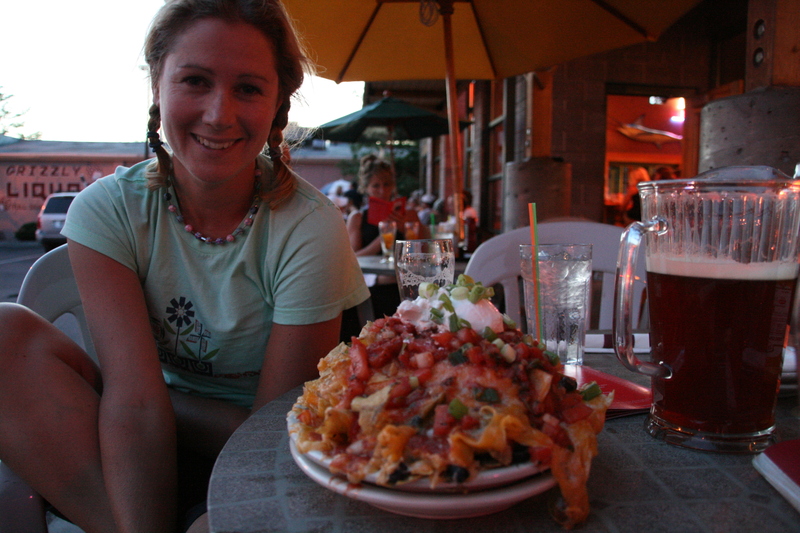 We arrived into Missoula, Montana, quite late in the evening and headed straight to the Iron Horse Brew Pub. For a Monday night, it was buzzing, but it is a student town and the pitchers were $10 a pop – draw your own conclusions. We were approached by a couple who had overheard our Irish accents and wanted our tips on travelling there – so we met them for breakfast the next morning. We are so out of the work loop that we didn’t even consider if they had jobs to go to! 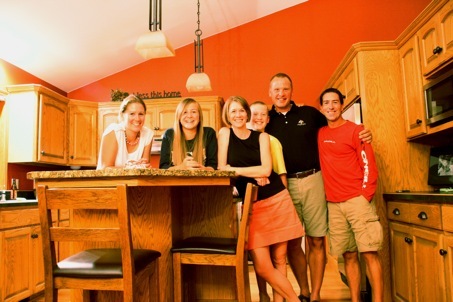 Megan & Kraig treated us to a diner breakfast – and a steak dinner at their house that night! We met their lovely children Libby, Quincy and Kraig Junior, ate huge steaks and talked a lot. I think we kept them up well past their bedtime…sorry guys! Poor Libby had to get up at 4.30 the next morning to go to her summer job at Starbucks! 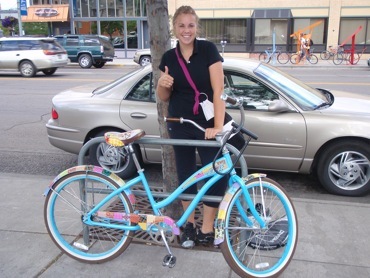 Libby & her cool bike! We took advantage of tax-free Montana to do some shopping – thanks to Caoimhe, Muireann and Bairbre for our camcorder wedding present! We’re a bit afraid to take it out of its box, it looks daunting…Muireann I hope you can put us at ease when we get home! I also visited the hairdresser. This would usually be a non-event not worth mentioning, but this time was quite an experience…more for Cathal than me though! He came to collect me, and decided to get a hair cut himself. Then he talked himself into getting a “surfer” look! 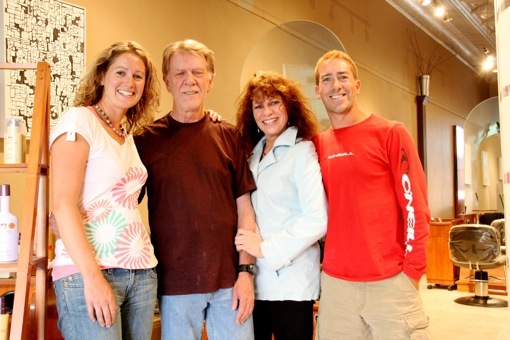 After some cocktail shampoos, a stint under the dryer and a couple of beers (yes, beers at the salon), Cathal was – blond. Well, more strawberry blonde, but certainly different! We invited the husband and wife team out for a drink – and got back to our tent at 3am after an early breakfast at Dennys! 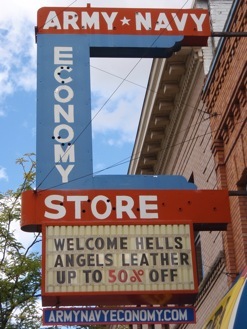 I forgot to mention that the Hells’ Angels were having their annual “conference” in Missoula the weekend we were there – many men in leathers on Harleys were arriving into town. They had booked a camping area for the weekend at a ski resort. 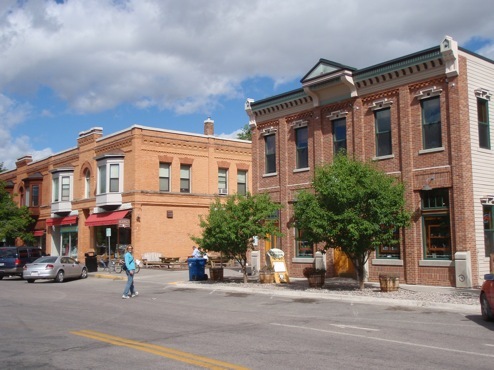 Coincidentally the town’s testicle festival was also on – yes they eat bull’s testicales around here.